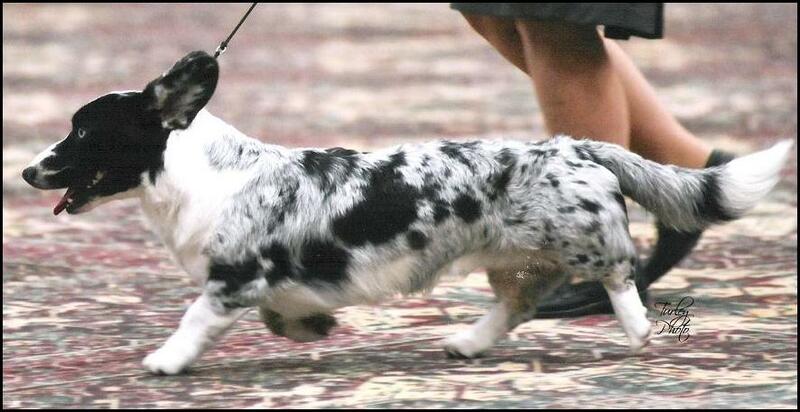 Henley, 15 mos old, on the move at the 2012 CWCCA nat'ls. 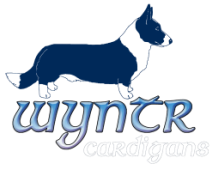 Earl, (formerly Desperado aka Henley, named for the Eagles song and singer Don Henley), comes from Wyntr's "D" litter and previously co-owned by his sire's owner Jill Rauh of Rhyfeddol Cardigans with Nancy Willoughby of Rubad Cardigans. 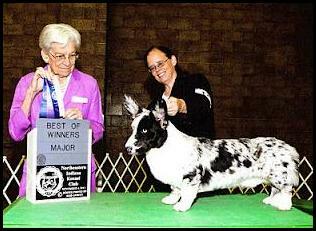 He has many of the fine qualities we hoped to produce in this breeding. Henley is now named "Earl" and is living with his new owner in Florida along with two other Cardigan companions, Scarlett (Cornerstone's Scarlett) and June (Afara Never Been So Blue). He and his companions were recently featured in "CorgiModern" a photo series taken by his owner and exhibited at a gallery event titled "LIGHT | FORM | COLOR" at the Kokol Art Studio and Gallery in Tampa, FL. See more photos of ﻿Earl﻿ on his owner's website.